I don't care what Smash Bros. creator Masahiro Sakurai does so long as he makes the next Smash Bros. Apparently, Nintendo seems to share that sentiment. But Sakurai is a man of values and does not abuse the trust that has been placed on his shoulders. Sakurai's arm still has not healed, but that isn't stopping the man from overseeing the development of the upcoming Smash Bros. games for the Wii U and 3DS. In his bi-weekly column in Weekly Famitsu, Sakurai wrote about his daily life as a game director. While Sakurai does live within walking distance from the development office at Namco Bandai headquarters, he is apparently not required to come in to work every day. In fact, Sakurai writes, "My office hours are up to me. So long as I complete the new Smash Bros., I could show up only once a week, or only at night, or even telecommute if I wanted to." It's good to be the boss. But just because he can doesn't mean he does. Apparently Sakurai still shows up for work at 10AM every day along with other members of the team. 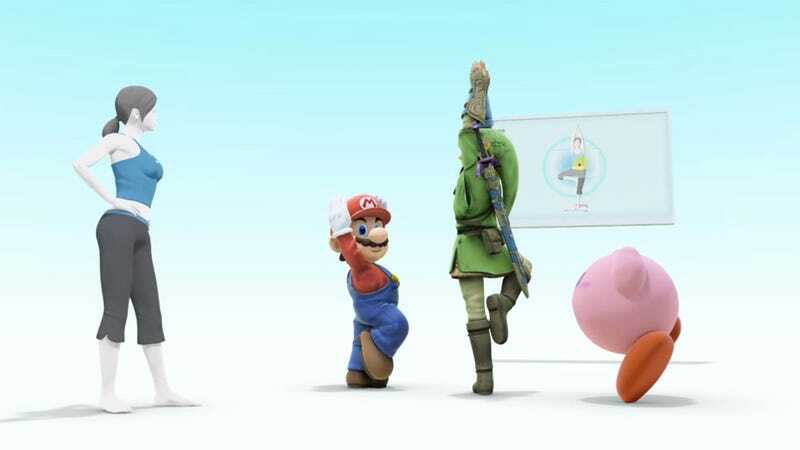 Nothing goes into Smash Bros. without his approval and Sakurai takes his job as game director seriously. Writes Sakurai, "It's just as important to check the specifications behind the development of things like graphics, sound, motions, characters, stages, game modes, and UI, not just the products themselves." Sakurai is probably going in to work at 10AM again tomorrow, even though he doesn't have to. Smash Bros. for Nintendo 3DS and Smash Bros for Wii U are scheduled for release next year, and you can tell he's going to do everything in his power to make sure they come out. It's reassuring to know a guy with such a work ethic is at the helm. I just hope his arm gets better quickly.